On the heels of James Gandolfini's unexpected passing comes news this week of the death of what may be the 20th century's most influential writer of science fiction, fantasy and horror, Richard Matheson. 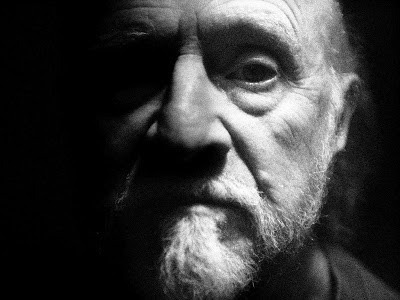 I haven't read his stories in years, but I did see a lot of his work for television and film often and right on through to this day. It's tough to say whether my favorite work of his is Somewhere in Time (1980), about as romantic a motion picture as there's ever been. Starring Christopher Reeve and Jane Seymour as time-crossed lovers, it boasts a wonderful score by John Barry and was shot on location in the evocative Mackinac Island. Another favorite might just as well be the teleplay for The Night Stalker (1972) the vampire telefilm that served as a backdoor pilot for one of the finest cancelled-too-soon TV series ever, Kolchak: The Night Stalker. Or maybe one of the pair of suspenseful TV episodes starring William Shatner—The Twilight Zone's classic of nervous tension, "Nightmare at 20,000 Feet" and Star Trek's "The Enemy Within," which forever established the lead triumvirate of Captain Kirk, science officer Spock and Dr. McCoy after the starship captain's good and evil side are rendered asunder by the ship's transporter. Notably, Matheson also wrote for classic TV Westerns like Have Gun Will Travel and Wanted Dead or Alive as well as contributing a few of the scripts for Roger Corman's Poe films like The Pit and the Pendulum. Did I mention how prolific he was? Matheson's greatest gift was his way of making the fantastic seem everyday. Only when one stepped back did one realize how perturbing the particular sensation was, as in Steven Spielberg's early TV movie, Duel, in which a traveler is stalked by a faceless driver at the wheel of a rundown tanker truck. Without Matheson, we probably wouldn't have authors like Stephen King, shows like The X-Files or a whole host of writers and tales of the extraordinary. He will be missed. 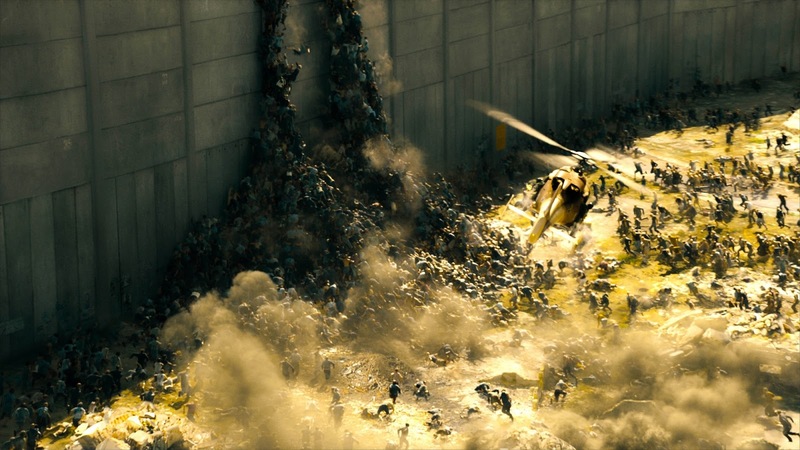 On the topic of weird tales, I did get around to watching World War Z, another iteration in the increasingly tired zombie genre. This one's a bit more grounded thanks to its couching in the conventions of a pandemic thriller more than those of a horror film. But its disjointed structure is both a virtue and a flaw. (Beware... I believe most moviegoers who would see this have seen it already, so I'm not going to spare any spoilers.) Full disclosure, I have trouble buying into the whole zombie thing anyway. With the exception of Romero's Living Dead series (which had a political bent) and the 28 Days Later films (which radically revitalized the moribund genre) I've never been able to muster interest in a concept that has little to offer beyond social commentary. What I believed would interest me about Brad Pitt's maybe-franchise was its globetrotting aspect and what that might offer in terms of political subtext. Elements of that appear to have existed at one point, predominantly in evidence in World War Z's Israel chapter where the wall built to enclose the Israelis is an obvious commentary on Zionism today. But the half-baked-ness of the movie's allegory—much of it probably lost in the endless rejiggering that afflicted its production behind the scenes—undermines the film in the very parts I thought it might distinguish itself. What's left of the episodic World War Z is a good example of diminishing returns: a terrifying opening act, in which Pitt's retired UN field operative must navigate panic-filled streets of Philadelphia and Newark to get his family to safety as night falls in a world slowly sliding into undead anarchy; a second act that seems more arbitrary, as the full scope of the world's zombie pandemic is viewed through the eyes of Pitt's character as he tries to locate patient zero and crosses the globe in what appears to be a whirlwind 24 hours (director Marc Forster fails to effectively establish anything hinting at the passage of time); and a problematic and anticlimactic third act in which the heroic UN worker somehow figures out the way to save humanity while being afforded refuge by a group of semi-clueless doctors at a World Health Organization facility in Cardiff. This third act is where much of World War Z's astronomical budget seems to have gone. The last, roughly 40 minutes was apparently a page-one reshoot designed to give the movie a more uplifting ending after its original final chapter ended up being both a downer and leaving audiences hanging until a probable sequel. Pitt, who also produced the film, wisely seems to be shoring up his retirement funds by launching a potentially profitable action/horror franchise in anticipation of the earning downturn that quickly approaches with his looming middle age. 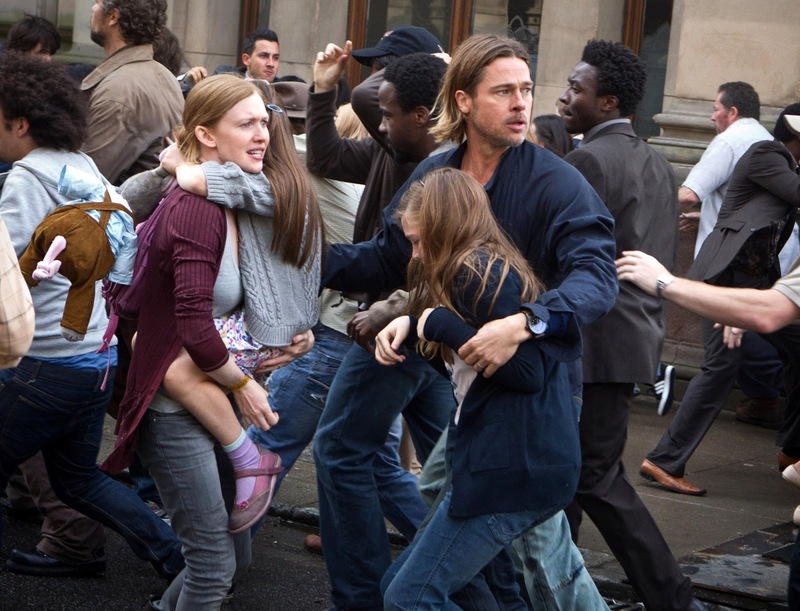 A lot depends on how World War Z does this upcoming weekend to figure out whether Pitt selected the wrong basket to put all of his eggs in. Though I admire Pitt very much, I'm not too optimistic. Now the smaller scale Maniac is truly horrifying. 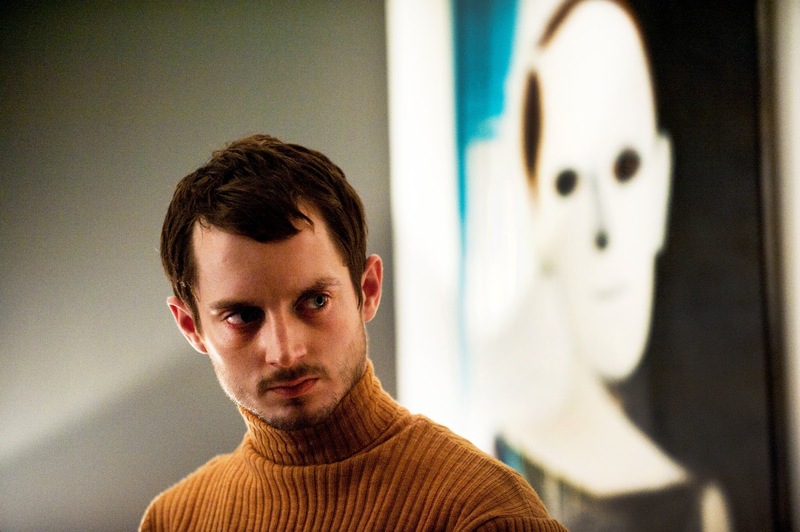 A remake of William Lustig's sleazy 1980 slasher film starring Joe Spinell (The Godfather), it stars Elijah Wood as a mentally unstable stalker who scalps the bodies of the women he kills, using his trophies to dress up old mannequins he restores in order to imbue them with a kind of "life" he is more easily able to relate to. The synthesizer score by Rob recalls the film's 80s origins, while Maxime Alexandre's slicker cinematography mitigates the inherent sleaze factor quite a bit. But what makes this even more disturbing than the original is director Franck Khalfoun's brilliant decision to shoot most of the movie from Wood's point of view. With the possible exception of Michael Powell's Peeping Tom, it's a trick rarely executed as potently in horror as it is here and certainly never sustained as successfully. Wood is rarely seen onscreen unless it's in a reflection (and in one key scene that underscores the depth of his depravity). The mutilation and sexual objectification of females is discomfiting enough. But what truly pushes Maniac into the realm of the disturbing is Khalfoun's ability to make you, the viewer, complicit in Wood's savage murders. Now playing in limited theatrical release and on VOD, Maniac is not for the faint of heart. In the coming days, look for me to post a summer blu-ray guide... heavy on Criterion and Twilight Time releases, as usual. But first, I'll be publishing my midyear top 10 list. In the meantime, you can see Indiewire's more comprehensive poll (which I was gratefully asked to participate in) here. Always so weird for me to see close ups of him. Are you talking about Matheson or your doppelganger?